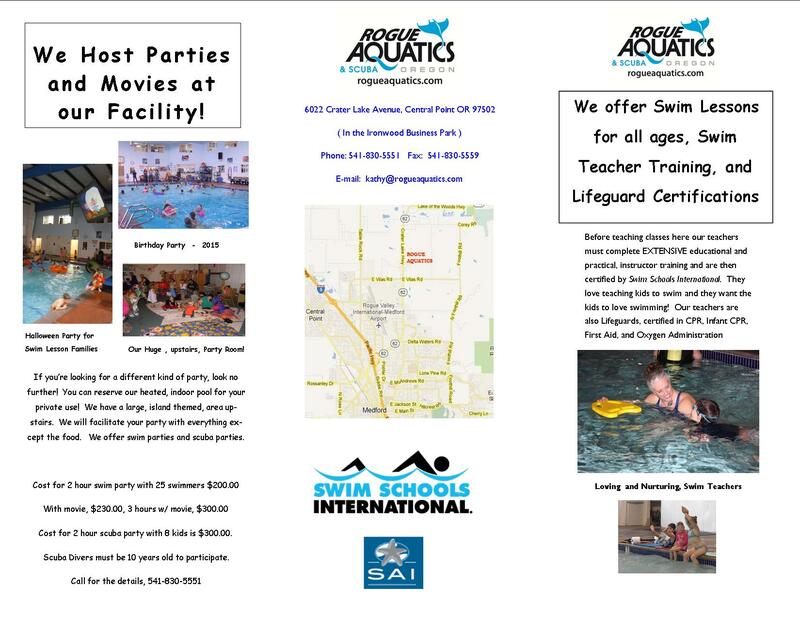 Rogue Aquatics is the sole West Coast Training Facility for Swim Schools International. Our indoor pool is perfect for swim training: saline, not chlorine, and heated to 86°. We have hot showers and clean changing rooms poolside. 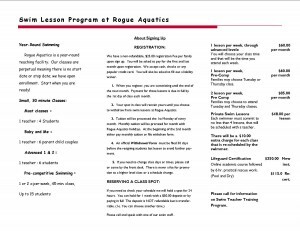 We teach year-round perpetual classes with open enrollment and no start or stop dates. 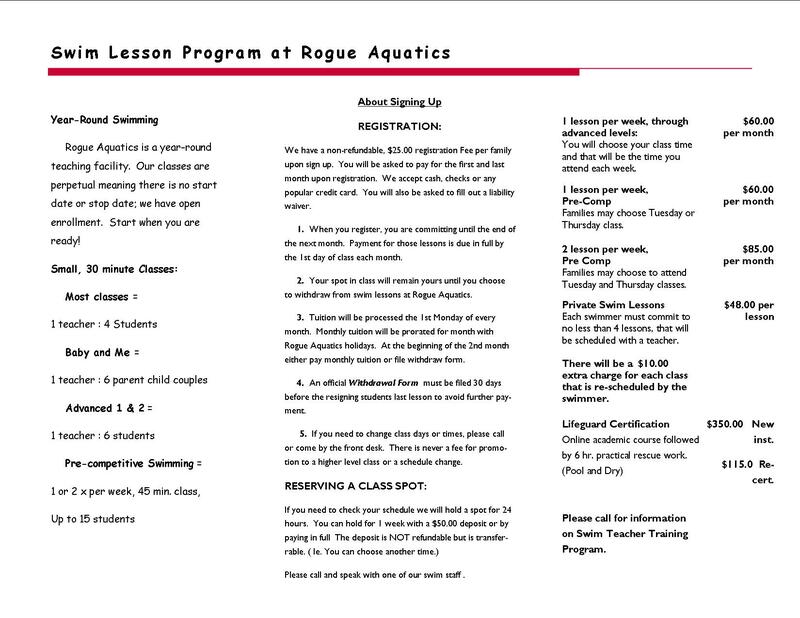 Your swimmers can join a class at any time and move up to a higher-level class when they’re ready. And we provide free initial skill-level evaluations to insure that they are placed in the correct level classes. Click here for more details on our program, or call us at 541.830.5551. .
We teach tots to tri-athletes! Every single level in between. We believe that swimming is a life skill, not an extra curricular activity. Drowning is the second leading cause of death among our youth. Don’t let a tragedy happen in your family! Call us today! 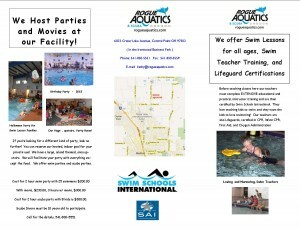 We love to teach swimming!